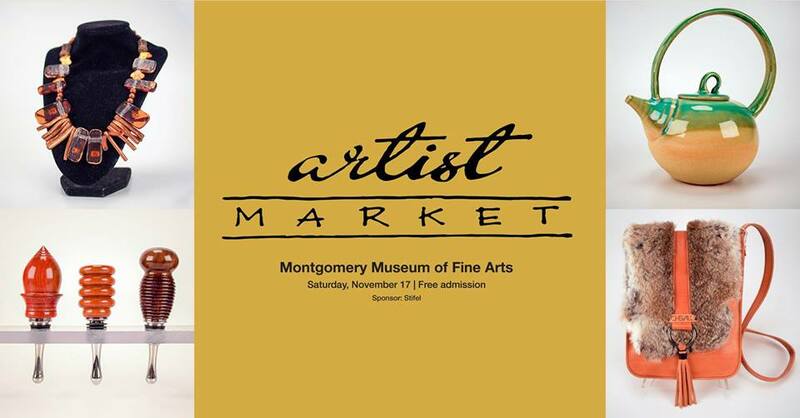 The Montgomery Museum of Fine Arts invites you to kick off the gift-giving season by attending the highly anticipated annual Artist Market. Members enjoy an exclusive preview Friday, November 16 evening from 5:30 to 8 PM and the event opens to the public on Saturday, November 17. In addition to our outstanding Museum Store artists, we’ve invited some new regional artists to join the Market this year. Shop local and support the River Region artistic community. Friends and family welcome; you won’t want to miss this once-a-year opportunity! For more information, call (334) 625-4333.